Calling all health-minded bloggers, mom, and viewers!! The processed food industry has fired me up for several years now … ever since I started really reading food labels. … I knew it was time to do something. 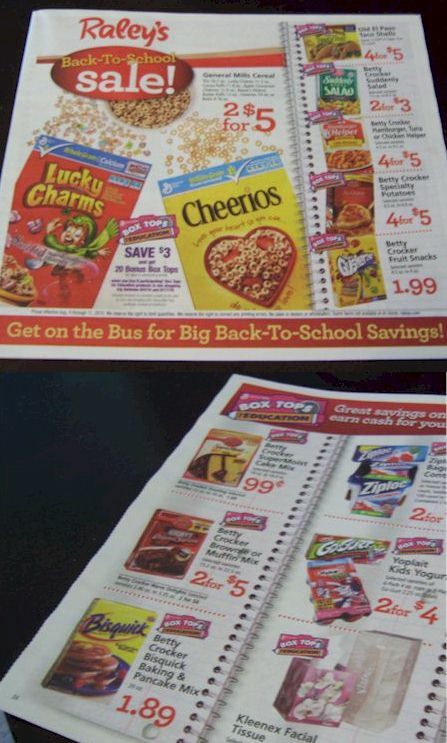 An entire 4-page insert dedicated to Back to School, and not a wholesome food in site. Over processed garbage with “health” claims stamped all over them. This is what children everywhere will be eating as they head back to school. 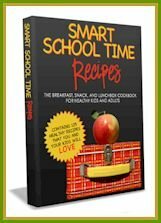 I want to help fight this food polution and give kids a healthy chance with real-world solutions, so I am going to create a FREE back to school (and work) recipe e-book from the healthy blogging community. I already have some other bloggers on board for recipes – if you would like to contribute, simply leave a comment in this post, and I will contact you promptly. I’m hoping to have this ebook ready in two weeks! All recipes will be fully attributed (and linked) to whomever contributed them, so it is a great way to let people know about your blog! Breakfast items, to-go foods, snacks, lunchbox treats, portable lunch dishes, etc. 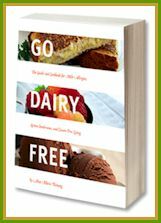 Dairy-free or dairy-free friendly (so that I can promote it on my main site also, and to cater to special diets). If you cater to other special diets too, great! Again, please leave a comment if you are interested in contributing to this project, and feel free to let me know of other bloggers who may be interested in sharing, or spread the word to them! Thank you!! I’d love to contribute! I wrote a peice for Diane Eblin (WHOLE gang) on healthy lunchboxes and my gluten free event (Go Ahead Honey it’s Gluten Free) Features Healthy lunchboxes as a theme for next month’s event, hosted by Ali Seigersten of Nourishing meals. Please let me know if you would like contributions – I have lots! I’m in! This is a wonderful idea. This is a great idea Alisa! I have a recipe for vegan oatmeal raisin cookies on my blog that I would love to share. I use pureed beans instead of egg. Feel free to look around and see if there are any other recipes that look good. I would love this! I have a few dairy-free and vegan recipes that I’ve used that would be appropriate for this! Let me know!! Thank you for doing this! I don’t know if you only wanted gluten-free items, but a couple of my muffin recipes make great breakfast-on-the-go items or afterschool snacks. This is SUCH a great idea, Alisa! I’ve been doing a lot of preparation for back-to-school (I’ve been reading lots of back-to-school articles I’ve seen, but I particularly like this one by the Glow System: http://bit.ly/c4GGjQ), and I’m constantly reminded about the important role of healthy eating in a child’s education. After all, the right food can give them more energy to concentrate, study and test well. I will certainly spread the word among my friends! What an excellent idea! I will definitely spread the word! I’d love to contribute too! Sounds like a great idea! Let me know! Me! Me! I am SO ANGRY when I see parents- who love their kids just as much as I do- but are so misinformed as to what are healthy food choices. When my son is busting out carrot sticks and hummus, and his classmates are eating “fruit by the foot” and “lunchables” he feels left out. LEFT OUT. That makes me so mad. I am really struggling with keeping the big bad food industry from influencing my kids, but once they’re at school, or the sitter’s, I have little impact. It’s super hard to be the one who is always ALWAYS pressing for whole food and I get tired of trying to come up with recipes. But I’d love to contribute some ideas to this project!! This is an EXCELLENT idea! I would love to participate in this! 🙂 I have two teens and packing a healthy lunch for them is very important to me! I would love to read this! I have a toddler who is 16 months old and has a milk & soy allergy. Her cousin is 14 months and eats crap…fast food, processed food, ect. Not only do we feed our daughter dairy and soy free, but we give her only healthy and mostly organic foods. I try to give her as many foods that are similar to “normal” toddler foods as possible, but I feel like I give her the same foods over and over. Please, help me find some new ideas!!!! Thanks!! I would love to contribute! This is what Im all about! sounds great, i would love to contribute a recipe, we just published an article about nutritious and delicious after school snacks! Pingback: One Frugal Foodie » It’s Here! It’s Here! The Free eCookbook Has Landed!